FRANK TAMMARIELLO IS AN AWARD-WINNING writer and director of broadcast TV commercials with an extensive advertising agency background. For over twenty years he has been a writer, producer and a director of comedy commercials featuring well-known actors and celebrities. He began his career at Ogilvy LA as a creative on the Mattel Toys account. After four years and almost a hundred commercials he spent the next years as a Creative Producer at three major agencies in the west. As an Executive Producer/Associate Creative at Doner LA, Frank co-created and directed an award-winning reel of edgy concepts and breakout performances. He officially began his directing career in 1988 on what became the breakthrough Joe Isuzu/Liar ad campaign that brought national attention to a then unknown car company. He cast the comic spokesman Joe Isuzu. And produced the first commercial in a campaign that ran for years and became a historic benchmark in comedic TV advertising. Frank is credited with directing the 12 commercial campaign that brought Roseanne Barr’s comedy world to life on-screen for the first time. These spots gained her network approval for her controversial hit TV series. And his work directing Oprah for her syndicated show was awarded in the same year. In fact, Oprah and Frank worked together so well, on set and off, that she invited him to Chicago to consult on her on-camera performance. As a champion of emerging talent, he cast and directed a then unknown Bryan Cranston five times in spots for Avis, Kraft, and Nabisco. BTW: In related news, Frank recently trained, directed and launched the career of Dan Yeager, who was unknown at age forty but was cast as the lead in the top grossing movie in January 2013. And Frank did the same for a novice 12-year old actor, Devon Bagby, now a series regular on Showtime’s Ray Donovan series. Frank was signed for exclusive representation as a commercial director in 1989 and joined the DGA. 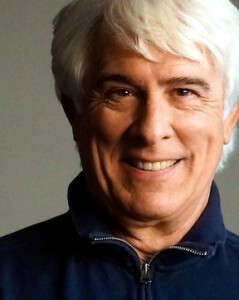 He has since directed over 100 national network comedy spots for an extensive list of blue chip advertisers. As a Director in the comedy category for US ad agencies, Frank has shaped the creative of almost every spot he’s directed. Over the years he has directed a long list of famous faces in the comedy world including Ellen Degeneres, Roseanne Barr, Bryan Cranston, George Lopez, Oprah, and Martin Short. Also Divine, Teri Garr, Dom DeLuise, John Candy and the late Phil Hartman in award-winning commercials. Frank has worked with ad agencies in every major market in the US and Canada. In the span of his career, Frank received industry accolades including CLIO awards, Belding awards, One Show awards, and has also been featured on the cover of Ad Age and Adweek Creativity magazines. His commercial work has been shortlisted by the AICP (Association of Independent Commercial Producers) for inclusion in the permanent collection of the Museum of Modern Art. Frank’s recently completed dramatic screenplay, Devil at the Door, has gotten positive coverage from development readers and indy producers. And his screwball romantic comedy, I Got Lucky, has been under consideration at Happy Madison. This year, he was called in to create the DreamWorks Animation DreamBrand Sizzle (More Than A Dream) and also the first SweetDreams Sizzle for a new line of DWA Consumer Products. Frank delivered these in record time, received enthusiastic approval and helped to define this new iteration of the brand.